I miss my mom. I don’t often admit that or even let it cross my consciousness. Yet there are times when that feeling grows in strength. 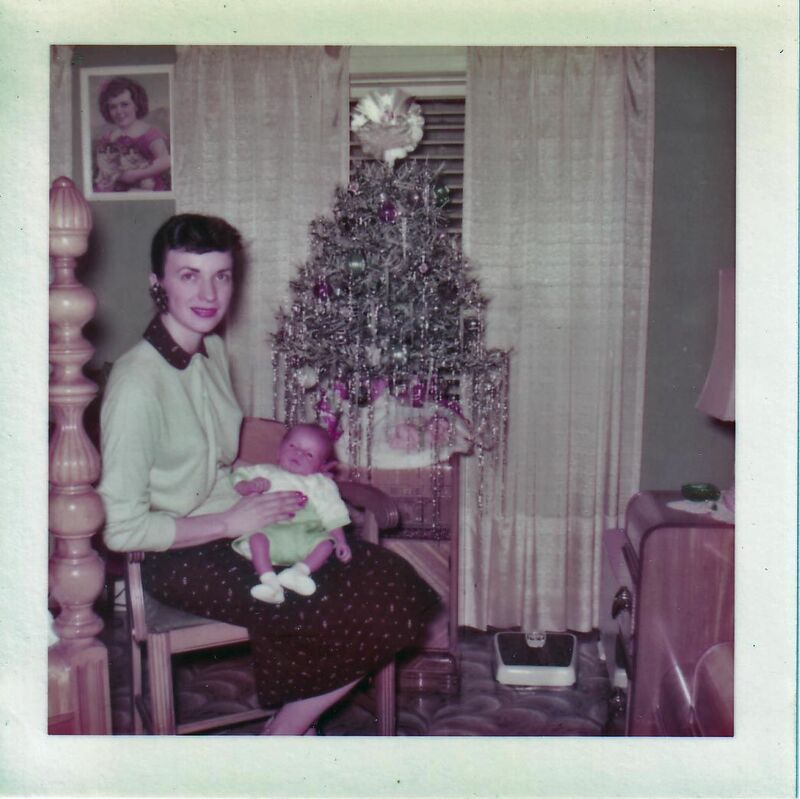 January 17th would have been my mother’s 82nd birthday. Strong feelings were already present, accentuated by attending someone else’s mother’s funeral on that day a couple of weeks ago. Joan Boggs. She pronounced it “Jo Ann.” My mother. My mother. My mother. So odd to think, say, and write those words. It has been 34 years. It is hard to remember being her son…anyone’s son…at all. Alone, disconnected, rootless…these identity feelings are much more comfortable in my mind. Still, even this moment, when I let my mind center on my mother, tears are close. 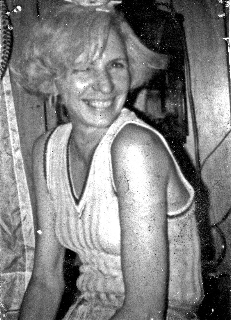 Mom died in May 1979 of a brain aneurysm. She was 48. Sudden. Unexpected. She had a few days of horrible headaches, a wrong diagnosis of a pinched nerve, and then a collapse at her bookbindery job at Rand McNally. Though the neurosurgeon found and repaired the damage, Mom never regained consciousness. No chance for good-byes. I remember the sad, clear “Code Blue–Room 93D” as though it was happening now. It all seemed surreal to me then. And it still does. Especially sad is that I had no concept of what I lost when she died. What we all lost. At the time of her death, I was 22 years old, married, with a beautiful little daughter. Mom could not have been more delighted to be Valerie’s “Mamaw.” She giggled with unrestrained happiness as she and I stood in the hospital nursery in East Chicago, Indiana seeing little Valerie for the first time. She continued to giggle every time she was with Valerie. Mom had two other little granddaughters. Those three little girls gave my mother what she had little of in her life…real joy. I wish I would have realized and appreciated that more then. Mom overwhelmingly loved her three granddaughters. She never got to meet her seven grandsons, two more granddaughters and a boatload of great-grandchildren. I’m sad especially for my Valerie, Ben, Jonathan, and Bradley, that they missed experiencing the love their Mamaw had for them. How proud she would have been! Mom, Dad & me with what I’m sure is a chocolate milkshake. Joan Pennington Boggs didn’t have much education. She was from Ashland, Kentucky. 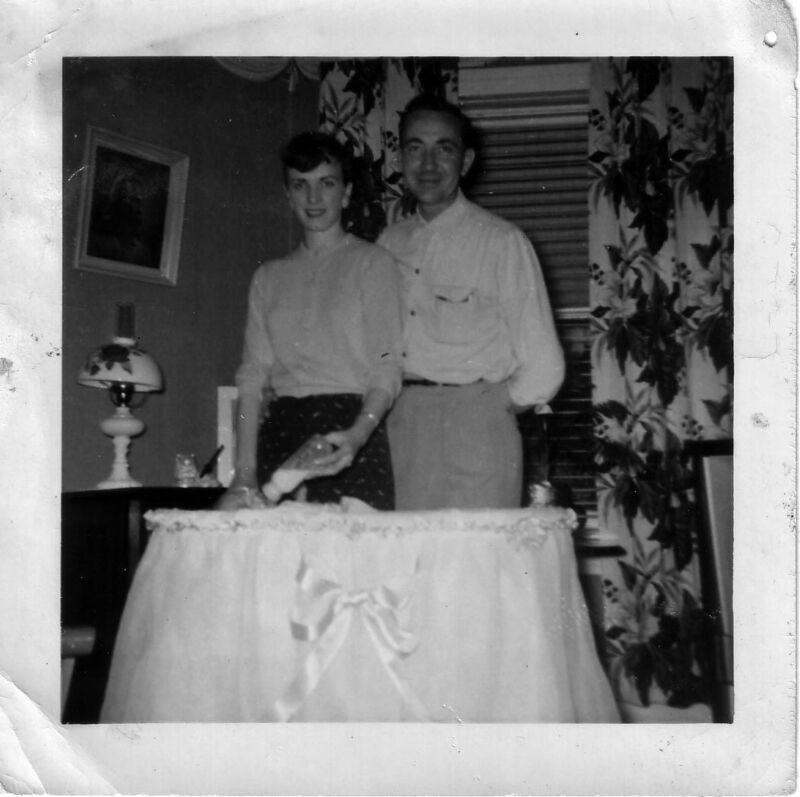 My abusive alcoholic father made her life hell in every way. She had the courage to divorce him before he killed her or her three kids. She did the best she could with us, working hard to make sure we were cared for. My mother was good to me. But I didn’t let her get close. As I clicked through my teenage years, like many adult first-born children of alcoholics I guess, I wanted to get away. From everybody and everything. It was an impulse or drive, not a clear plan. 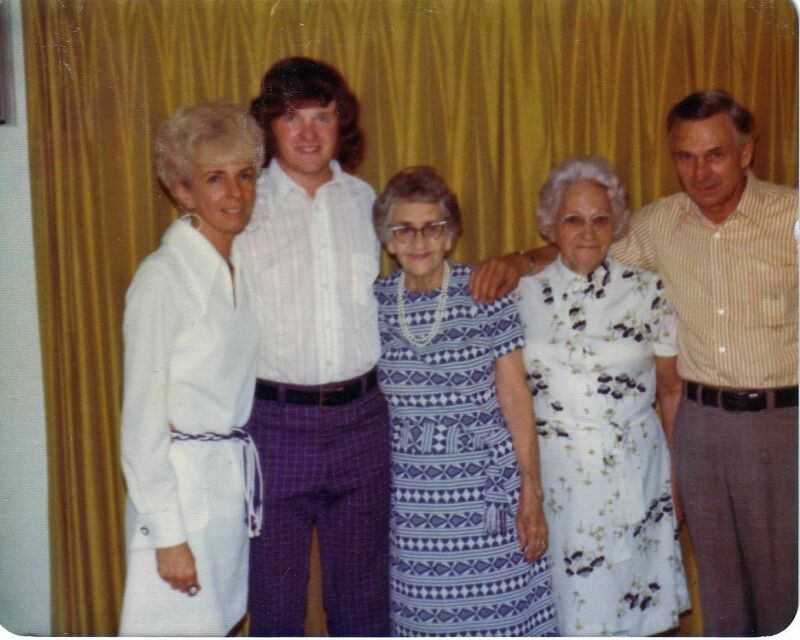 Mom tried to keep us all connected…to her, to our siblings, and to her extended family. I wasn’t that interested. I regret that. As I moved to manhood, I was already shucking sonship and breaking from brotherhood. On my own—that’s what I wanted. It was easier and decidedly less painful. I was an orphan in my mind even before my mother died. I expected abandonment and got it. I know I could have done more to help my mother. I could have made more sacrifices. I just wanted to get away. I am now more aware of what I lost when Joan Boggs died. I am loved today and I’m grateful. But none of that human love is the same or can replace the God-crafted love my mother had for me. A love that was there without question or explanation. A refuge love. A place-on-the-couch, “can-I-make-you-some-Ashland-gravy” love. An “it’s alright, Billy” love (even when it wasn’t). There were times I needed my mom’s love. Not having it left a gaping hole. I am sad because when it was there I ran from it and it was gone when I most needed it. The best I can do is to offer my children my flawed-father-version of it. I can’t love like a mom. I miss my mom. I really do. Today, I think I could offer her a much better son than I was before. I might manage to give a little more than I take. And I would definitely no longer think being alone is a good thing. I’m imagining Mom here with me this evening. There is much laughter. There are many tears. How I wish I could have one serious conversation with her. I feel better now after that little conversation. Orphanity. Not a real word yet (I think it needs to be) and not a real concept in my life. I know I am not an orphan. Nope. I’m an adopted son of the Sovereign God. That hasn’t been an easy truth for this boy to grasp. In God’s goodness and wisdom, He has allowed me to experience my life as it has been. I don’t know why and I’m not going to get an answer soon. For now, I will keep working at accepting God’s love and not running from these feelings. Thanks, Mom. You have done so much for me. You are very much like my own mother. Great writing Bill–I appreciate your candor and vulnerability. Bill, I am not an expert but this is great stuff. Somehow I have not kept up on all your entries. This penetrating and powerful. It draws me into your life in deep, deep ways. And challenges me to be honest and real with my life. Thanks for sharing. I loved reading this Bill. It made me be more appreciative of things I didn’t even realize. You are an amazing writer and I look forward to reading more. Your passion in writing has sparked a lil something in myself. Hopefully you can be my mentor. Thanks for reading! Thank you too for your kind comments. Mentor, huh? Well, I’m eager to help and encourage you any way I can!